The final part of Bengali film maker Mrinal Sen’s Calcutta trilogy expands upon the prescient 1970s dilemma of the Naxalite inspired Bengali youth evident in both Calcutta 71 and Interview to make the questions surroundings political activism a central ideological debate. 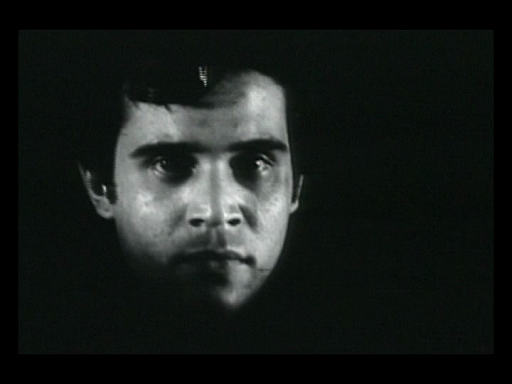 Satyajit Ray’s Pratidwandi (The Adversary), a study of the Calcutta youth appeared in 1971 as almost a thinly veiled response to accusations of apolitical abstention and whilst both Ray and Sen shared the young actor Dhritiman Chatterjee, their views on cinema, politics and ideology were in stark opposition to one another. Satyajit Ray was very openly critical of the New Indian cinema manifesto and particularly criticised film makers like Mrinal Sen for over indulging in the empty ideological, stylistic and aesthetic posturing of European new wave cinema including most notably Jean Luc Godard and Alain Resnais. Writer and academic Ashish Rajadhyaksha’s latest publication ‘Indian Cinema in the Time of Celluloid: From Bollywood to the Emergency’ (2008, Indiana University Press) has been somewhat completely overlooked by most of the major film journals in the UK. It is one of the best written and ideologically sustained accounts of the relationship between Indian cinema and the wider context. Chapter 9 titled ‘The Indian Emergency – Aesthetics of State Control’ offers a remarkably alternative reading of the development of film policy during the 70s, discussing in detail the re-shaping of the FFC and the lively culture wars between Ray, Sen and Kumar Shahani. The Centre for the Study of Culture and Society has the full chapter available to download as a PDF file for free of charge (thank you) and I think to engage much more fully with the ideological questions being raised in such a politically radical film as Padatik, and elitist as it sounds, one must have a better understanding of the wider political, economic, historical and social situation of Calcutta and Bengal in the turbulent 1970s. What Padatik offers is both a historical document on the political mindset of the burgeoning Bengali youth and a personal struggle from the film maker Mrinal Sen to make sense of Marxist revolutionary ideology and ascertain whether or not it is a misguided enterprise. The plot is as elliptical as many of the film’s made by the nouvelle vague, concentrating on Sumit, an uncertain member of a left wing political party, probably Marxist and harbouring strong Naxalite sentiments, who escaping from police custody goes into hiding. Interestingly, both Pratidwandi and Padatik may differ in their approach but they both attempt to deal with the same political questions – does the subscription to an ideological cause necessarily make one revolutionary? In the case of Pratidwandi, Ray comes to a conclusion that was at odds with the political reality of the time and whilst Sen’s ending is also tinged with a degree of Utopian totality, Sen’s representation of Bengali youth is fixed in a reality that sees the oppressed father and patriarch of the family instruct his son to continue fighting the system. Another interesting point to note is that Pratidwandi and Padatik are not just linked by the presence of Dhritiman but both make significant symbolic use of a funeral; Pratidwandi opens with the death of Siddhartha’s father and his funeral whilst Padatik closes with the death of Sumit’s mother and her funeral – the affects of political unrest are delineated starkly and the cost is measured in the loss of family. Shot by Sen regular K K Mahajan who like Raoul Coutard became pivotal to the visual look of the new wave cinema, Padatik is surely one of Sen’s most radical works and deserves its place amongst films from the Bengali 70s era such as Pratidwandi. Even in the final shot, Sen reverts to using the freeze frame and holds on the angry face of Sumit but unlike claims for interpreting this ambiguously or hinting at an uncertain future, it is a self reflexive pause that extols rather than criticises revolutionary struggle. It is such an honesty that makes Padatik feel alive in today’s world of political re-awakening. Ah, one of my favourite films! Though Interview ranks a notch higher in my humble opinion, Padatik was a great work of Mrinal Sen. Sen was a staunch Marxist, and most people would be able to discern that from a number of his films. However, that said, Padatik wasn't an in-your-face kind of film like, say, Calcutta '71, despite having a Naxalite-on-the-run as the principal protagonist. Yeah, the verbal tiffs between Satyajit Ray and Mrinal Sen are known to most Bengalis, as are the stark differences in their films. Suffice it to say, I love both these filmmakers' works, albeit Ray's considerably more. Really, rarely has Indian cinema seen four stalwarts like Ray, Sen, Ritwik Ghat & Tapan Sinha working at the same time at the heights of their prowess. By the way, loved the analogy you've drawn between Padatik & Pratidwandi. I can see why it is one of your favourite films; it's a rarity that a political film can actually move us aswell. I must watch more of Tapan Sinha – I feel he is the one I know very little about. But I wonder why it is that Ray has the edge over all of them? 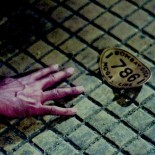 Is it his humanism or the simplicity of his cinema. Now that is one hell of a terrific double bill – Padatik and Pratidwandi! Cheers Shubhajit. Ray has been attached with the word humanism ad nauseum. Well, I did love the humanism in his films; but more than anything I loved the sheer versatility of his body of work – drama to comedies & satires, personal to political, double bills & tripple bills, sequels & trilogies, realism to fantasy & musicals – he did 'em all. He made films that charmed us with their simplicity, and others that disturbed us with their complex world-view. And the fact that he himself was such a versatile genius (a Renaissance Man, if you will), means that my awe for him knows no bounds!!! Though Sen, Ghatak & Tapan Sinha also wrote their screenplays, and Ghatak also was a writer, Satyajit Ray was so much more – director, prolific writer, graphic artist, music composer, film critic, photographer, etc. 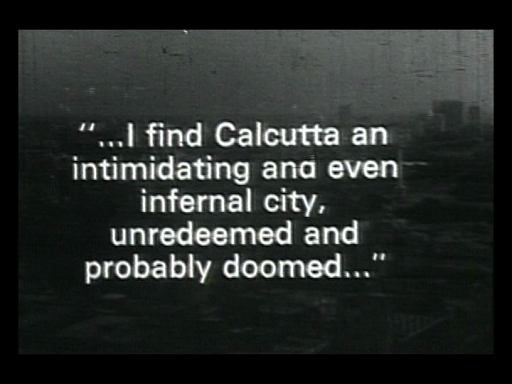 This entry was posted on March 5, 2011 by Omar Ahmed in Bengali Cinema, Indian CInema, Mrinal Sen, Political Cinema, Youth.